Includes plan of Whitstable Harbour (1:7000) For this 2015 edition the chart has been fully updated throughout with revised depths. 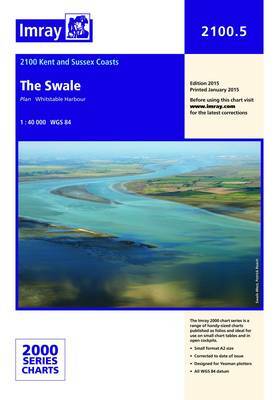 This new version forms part of a new, reschemed 2015 edition of the 2100 Kent and Sussex Coasts Chart Pack (10 charts). NB - This sheet was 2100.4 prior to the rescheme.